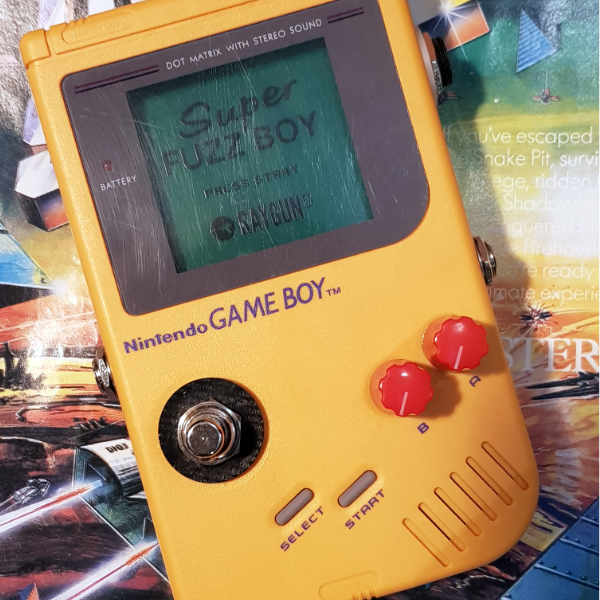 RAYGUN FX Super Fuzz Boy is a thick fuzz housed in an old Nintendo Game Boy original shell! 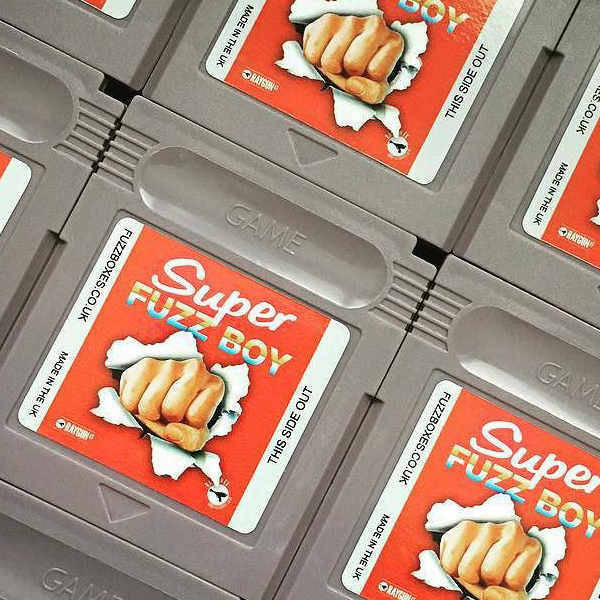 It even comes with a fake Game Boy cartridge, see picture in the gallery. Soft style foot switch – soft touch, non clicking switch, nicer to stomp! 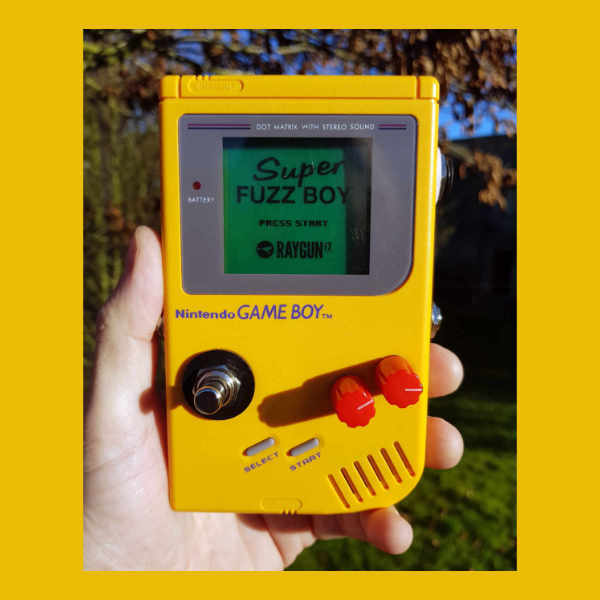 New Screen – A Screen printed PCB now used as the Fuzz Boy’s face. Originally made as a one-off for fun, then after receiving so many emails about it, RaygunFX decided to offer them for a limited time in short runs! For Guitar, Bass, keyboard and anything else! * Please note that it is normal for the screens on these to have surface scratches as they are re-cycled cases. This is an older video, but you’ll get the idea!